The U.S. broadcaster is paying a 26 pct premium for its rival after Uncle Sam relaxed a wave of regulations. Tribune gives Sinclair more heft to mount a challenge to Rupert Murdoch’s Fox News. But it’s going to cost the buyer more than just the headline price tag. 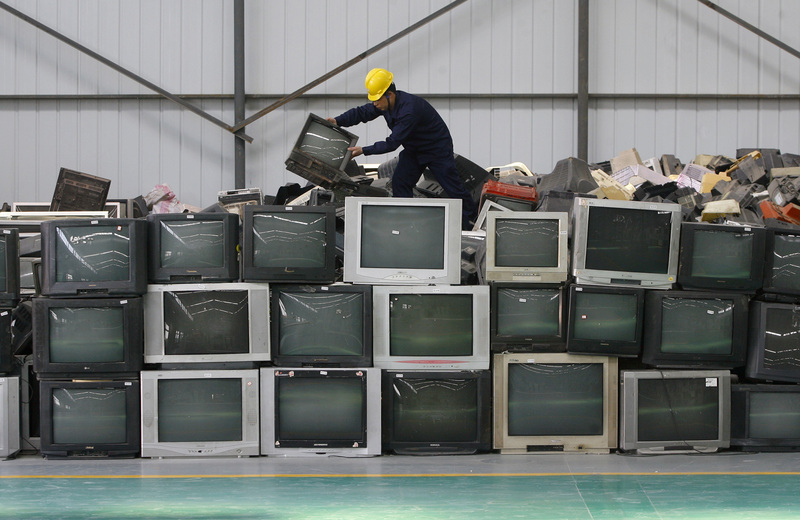 An employee arranges discarded televisions at a newly opened electronic waste recycling factory in Wuhan, Hubei province March 29, 2011. Sinclair Broadcast Group said on May 8 that it has agreed to buy Tribune Media for $3.9 billion. Sinclair will also assume $2.7 billion of Tribune debt. Tribune shareholders will receive $35 in cash and 0.23 of a share of Sinclair class A common stock for each share of Tribune class A and class B stock they own, totaling $43.50 per share. The total represents a premium of 26 percent over Tribune’s closing price on Feb. 28, 2017, the day before media reports first broke about a possible transaction. Tribune owns or operates 42 TV stations in 33 markets in the United States as well as cable network WGN America and has minority stakes in the Food Network and CareerBuilder. Buying Tribune will give Sinclair a total of 233 owned or operated television stations in 108 markets before any divestures that may be required by U.S. regulators, which have to approve the deal.